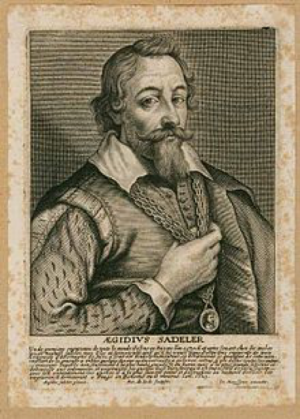 Aegidius Sadeler (sometimes written Egidius, or Gilles) was also a painter, and a leading Northern Mannerist engraver; the best of the dynasty. 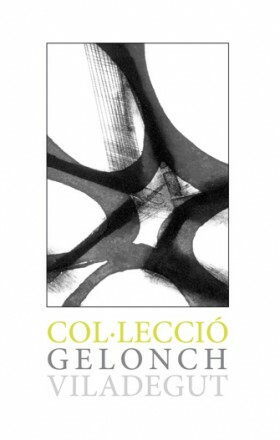 After moving to Cologne in childhood (c. 1579), then Munich (c. 1588), he trained in Antwerp, and went to Italy, working in Rome (1593), then back to Munich with his uncles Jan and Rafael in 1594, travelling with them to Verona, and probably Venice (1595–97). After a trip (apparently alone) to Naples he moved to Prague in 1597, where spent the rest of his life, mostly employed by Emperor Rudolf II. He lived for some time in the house of Bartholomeus Spranger, whose works he engraved. As the more important figure, references to just Aegidius Sadeler are more likely to mean him than his father. He sold prints from a stall in the Vladistlav Hall in Prague Castle, shown in a well-known engraving of his (1607), and his prints after Spranger, Roelant Savery and other Prague artists were important in disseminating the style of Rudolfine Mannerism across Europe, especially Germany and the Netherlands. He also painted, although no works certainly by him survive. His early works were mostly religious prints after Northern painters, several in sets. In Italy he added Northern painters working in Italy, such as Paul Bril and Denys Calvaert, as well as Italian masters both some generations older (Titian, Raphael, Parmigianino, and contemporary (Tintoretto, Barocci). In Prague he engraved the Mannerists of Rudolf’s court, but also did many portraits of notables, and engraved many of the Dürer drawings in the Imperial collection. He collaborated with Jacobus Typotius on the Prague emblem book, Symbola Divina et Humana.